Before we begin the recap, let it be known that I both love this film and am aware it’s supposed to be over the top. I love Robert Rodriguez’ work. Everything from the camera work to the acting is great. I love this series. 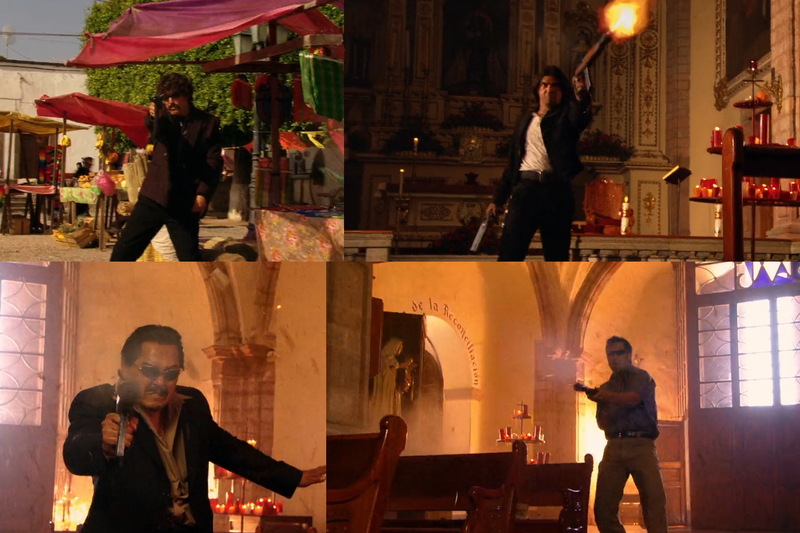 BUT let me also say I think this last movie in the Mexico Trilogy might have been a little too over the top. 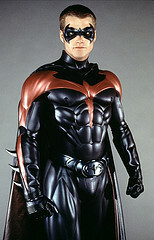 At times I thought of how far the Batman series fell before Christopher Nolan got his hands on it. I still want to hit him too. That being said, Once Upon a Time in Mexico is the heartwarming story of the redemption of a man who lost it all fighting the good fight against greed, corruption and the many iterations of Cheech Marin. El Mariachi (Antonio Banderas) gathers his gang of two other Mariachi played by Enrique Iglesias and Marco Leonardi, an Italian, for one last big adventure. Why an Italian? Who knows. Cartel kingpin Barillo is played by Willem DaFoe with a tan. I LOVE THE SUN, ALRIGHT? The only problem is that El Mariachi, who is destitute and in hiding, swore off violence, and is struggling with the loss of his wife, the last bare midriff in all of Mexico. Honestly, even women who dress more modestly in Mexico don’t fare much better. It’s rough out there, even for a waitress. She’d have been better off serving Steve Buschemi in Reservoir Dogs. This movie is incredibly action-packed, which is a code word for violent. Not that I’m not okay with movie violence, I just think taking the time to stop and aim would be to everyone’s benefit. Once Upon a Time in Mexico also holds the record for most railing-related and falling-after-being-shot-related deaths. In the mix, we have an FBI Agent, an American fugitive, a Federale subplot and it’s all tied together… This whole scenario is orchestrated by a CIA agent named Sands, played by Johnny Depp, who’s much better outside of Tim Burton movies than I remember and I probably don’t remember since it’s been a long time since I saw him outside a Tim Burton movie. Yes, I know he did The Lone Ranger, but if no one else saw it, why should I? 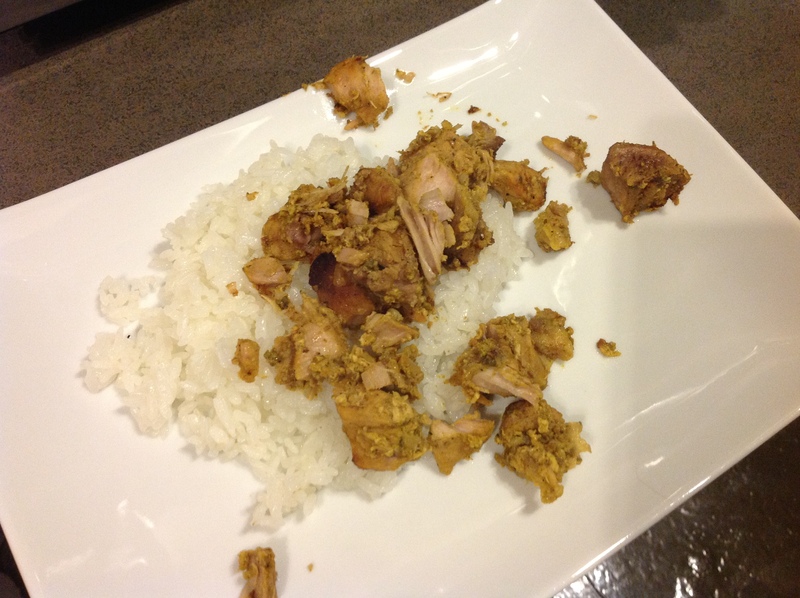 Sands’ favorite meal in Mexico is Puerco Pibil, with a tequila and lime. It’s featured in the movie so often, it should get its own IMDB Page. 1. Put annato seeds, cumin seeds, peppercorns, allspice and cloves in a clean coffee grinder and grind very fine. 2. Put orange juice, white vinegar, habanero peppers, ground spice powder, salt, garlic, lemon juice and tequila in blender. 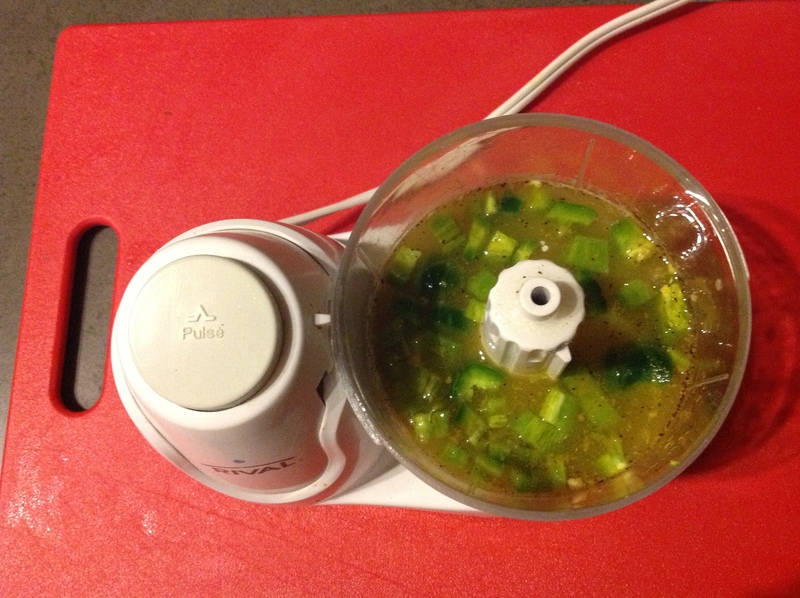 We used a food processor. 4. Place cubed pork and liquid from blender in zip loc bag and marinate for one hour. 6. Pour pork mixture directly on top of banana leaves and cover with more banana leaves. 7. Cover tightly with foil. 8. Bake at 325 degrees for 4 hours. Incredibly simple to make, even if you don’t have the banana leaves. Don’t forget the rice! It may not be the prettiest, but it’s the most delicious. Please don’t shoot me.